Well the business trip to Port Pirie went well. A 500km round trip that takes approximately 3 hours each way. The land is looking rather green after all the recent rain. Now I’m back at home I’ve been assisting Jan with the gradual packing of our effects. We have just under a month until the removalists arrive so this will be one of the more relaxing moves we’ve made (I hope!). 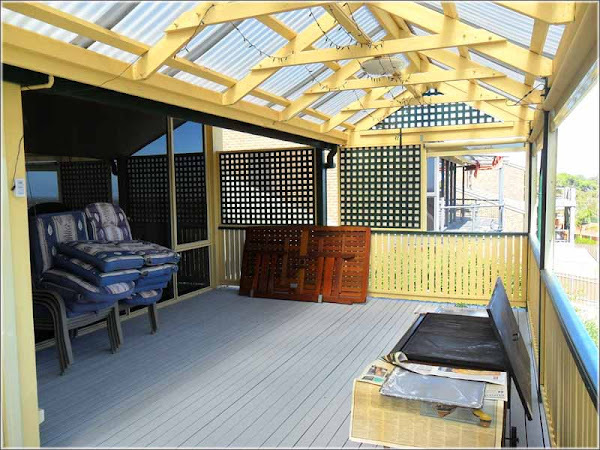 I have dismantled the Jarrah BBQ table and Jan has “nested” all the chairs. 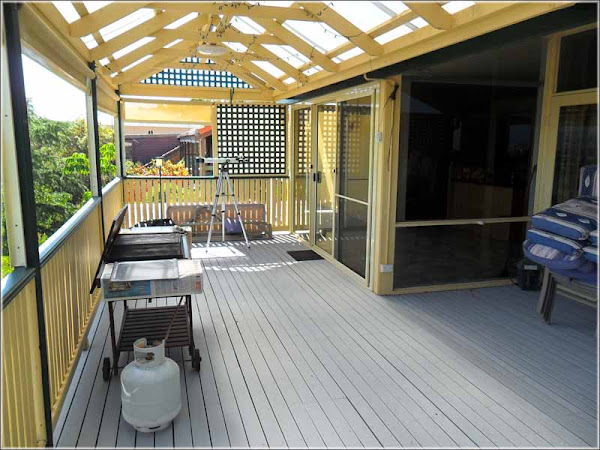 The upper sundeck is now starting to look rather empty. The three seat swing has been dismantled and I have both the BBQ and gas lamp running to burn off the last of the LPG as the removalists obviously won’t carry the gas bottles. Even if they are empty! The BBQ is nearly 20 years old, and whilst it is reasonable condition I can’t find anyone who wants it so it will be recycled as scrap steel. No more looking through the telescope at views of the city and coastline. I wonder if we are going to miss the scenery? Of course not! We will be able to open our side hatch and see something new every day! Well next week I’m off to Launceston, Tasmania for a few days. Unfortunately it is a business trip assisting the state rail operator with their safety management system. I find Tasmania an interesting contrast to the mainland of Australia. The climate is more temperate and there are definitely four seasons. The scenery is reminiscent of New Zealand except for the native trees. Launceston is particularly picturesque with many fine historic buildings. A couple of interesting facts; it was the first Australian city to have underground sewers and the first city to be lit by hydroelectricity. It was named after Launceston in Cornwall. I usually enjoy an evening stroll along the banks of the Tamar River. Cataract Gorge is another interesting walk and the site of an early hydroelectric scheme. I suspect the thing I like the most about Launceston is the city is located on steep hills. It reminds me of Wellington, the capital city of New Zealand. 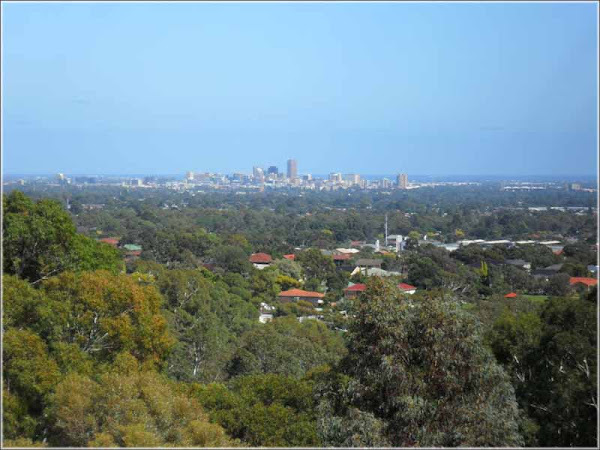 There are not many capital cities in Australia that are built on hills. Actually most of Australia is flat! In two weeks I head to Perth in Western Australia. But that is another story! Well it looks as if we will be homeless when we arrive in the UK at the end of May. Our thoughts now turn to what we can do about the situation. From our initial research I suspect finding a furnished flat or bedsit for 2-3 months is going to be problematic. Most agents want at least 6 months. Static caravan parks look horrendously expensive. Probably because it will be high season and they predominantly cater for weekly holidaymakers. We would prefer to be near public transport. I’ve thought to hire a private canal boat or caravan. That might also prove difficult being summer. One of our friends suggested “house sitting”. I looked at the requirements and a police check is required. That might prove a problem for Jan <just joking!>. I think I’ll head to the canal forums to see if there is any information there. Meantime, if any of our UK readers have suggestions please send us an email. I recently wrote about my tablet comparison. No, not the small white pills I have to take to control my temper! I’ve purchased a GPad GForce directly from China. The nice man from DHL delivered it and my first impression is that it’s an iPad clone. 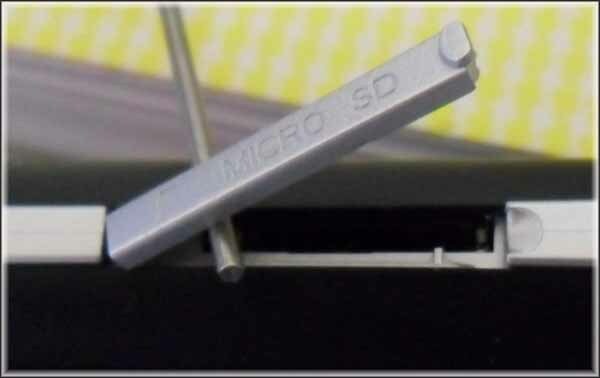 It also appears to have all the functionality of the new iPad2. The operating system is Google Android, which I haven’t previously used, however it seems to be based on Linux. 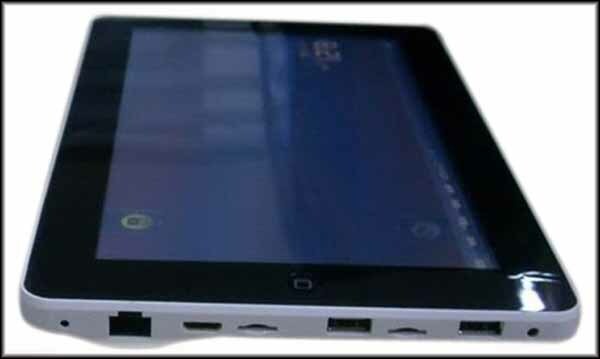 The tablet has a capacitive touch screen with only four physical buttons. There was NO user manual with the tablet, however the Chinese website has a copy available for download. Upon opening the manual I discovered it was all in Chinese text. No problem – I’ll use Google to translate the Chinese text into English. Hummm…….. something has happened to the syntax and grammar. After a couple of days playing with the buttons I’m fairly confident it is now all configured with the wifi working, Windows usb drivers installed, and a firmware upgrade. 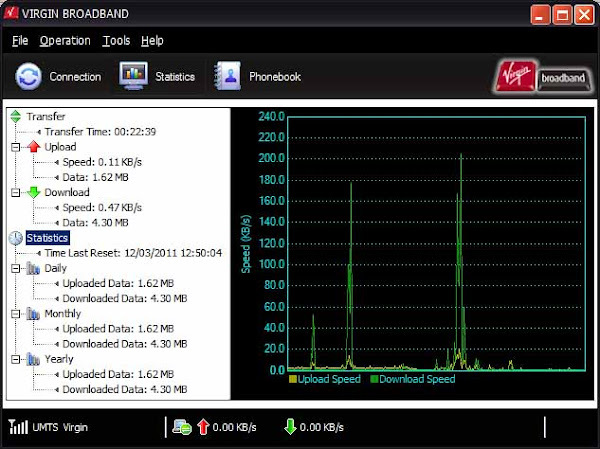 All I now need to do is work out how to get the 3G modem to connect into the network. Oh…. 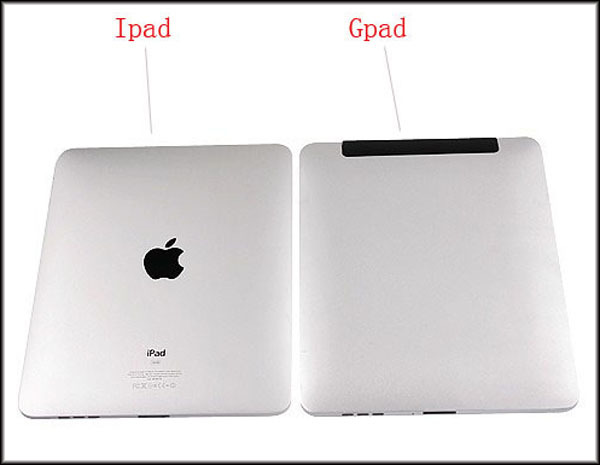 why the GPad instead of the iPad2? Well it’s less than a third of the price and has the same functions. As the years go by gravity has slowly had an effect on my shape. I started my working life shaped like a triangle with the pointy end downwards. These days I’m shaped more like a diamond. Waiouru seems to have been born this way! When talking with Ben last night he mentioned Waiouru was not a Wilson Tyler “Birmingham Square”. 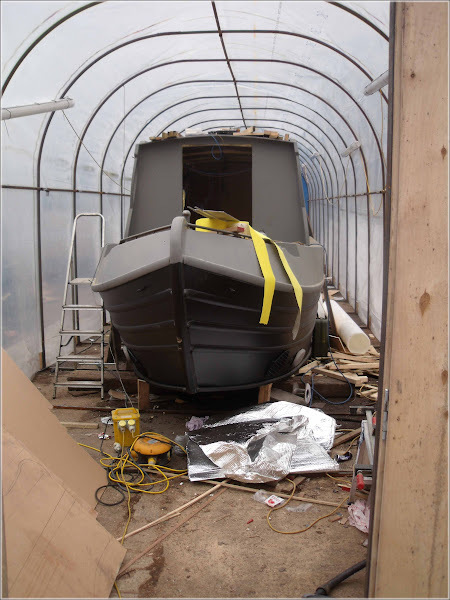 My understanding of this is Tim Tyler builds boats on a slightly wider base plate with vertical sides to the gunwale line. Both Ben and I had assumed this is what would happen with Waiouru and Ben had manufactured the joinery accordingly. 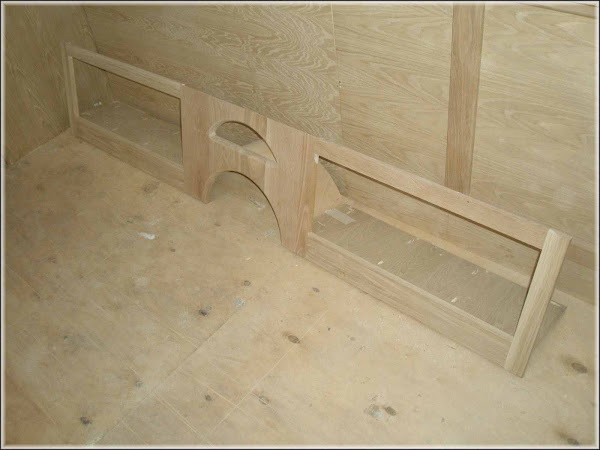 However when Ben started to install the joinery it wouldn’t fit. He then realised the sides weren’t square to the base plate. You can see what I mean in the above photo. The sides of Waiouru actually lean outwards from the base plate to the gunwale and lean back in above the gunwale. Tim explained to Ben he had built Waiouru this way as he had been unable to purchase the thicker 20mm base plate in the usual width. If we had specified a conventional 10mm base plate then this wouldn’t have occurred. Ben calculates we have probably lost a total of eight inches from the interior of the boat at the base plate line. Whilst I’m not anticipating it will have much of an impact on our ability to move around the boat, I do wonder whether this will have an adverse effect on the ability to fit some of the major appliances, such as the fridge, freezer and washing machine. So Waiouru is shaped a little like me. Only I can diet! I must admit I don’t really have any idea about these. 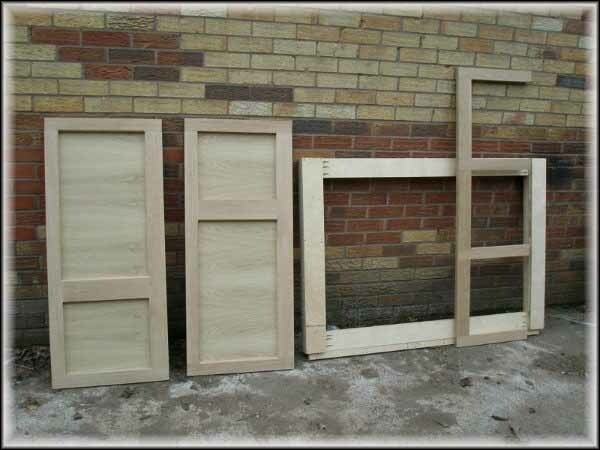 Bed frame components? Ben has placed the returns to the galley which has enabled Jan to obtain some idea of the size. 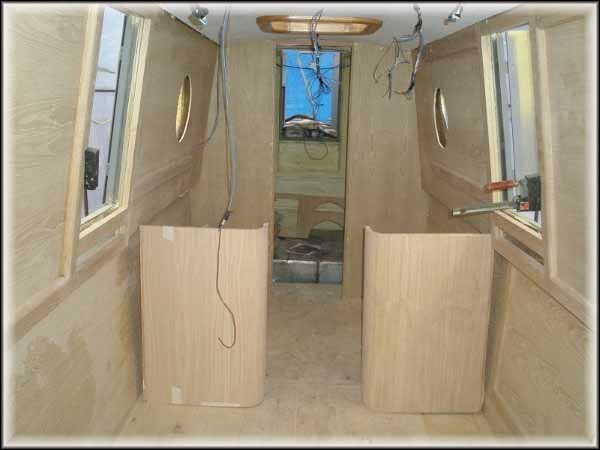 It’s a 6ft long walk-through galley, not very big but then every inch you add to one compartment must be deducted from another. The side hatches are outside the galley area as we decided we wanted to be able to get up close and lean out of the hatch to watch the world pass our home. Ben has made a nice looking overhead cupboard for the galley. No doubt Jan will find things to fill it! This is a view of the overhead cupboard on the other side. I think the gap between the wall and the end of the cupboard is where the cabinet for the wall oven, fridge and microwave will fit. The saloon looks rather large without furnishings. No doubt it will shrink in size once we start fitting chairs and a table. 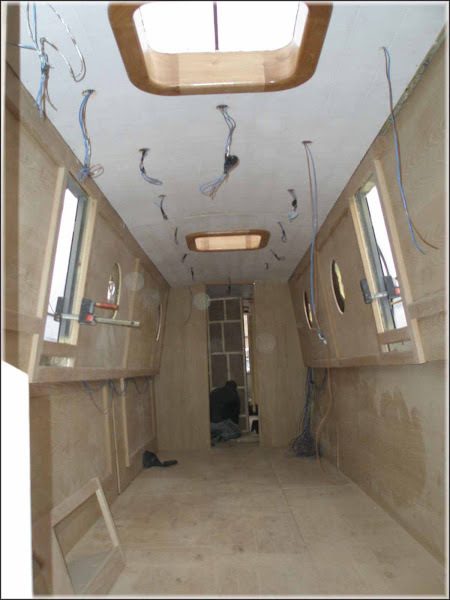 It was a deliberate decision to make the saloon as large as practical with minimal built in furniture. We’re not having a dinette. Our thoughts are that when we are in the boat the two most frequently used areas are the saloon and bedroom. And we spend most of our time in the latter location unconscious! I’m quite pleased with the amount of natural light entering the area. I think the Houdini hatches make a difference. Of course we will not be able to always have the side hatches open. 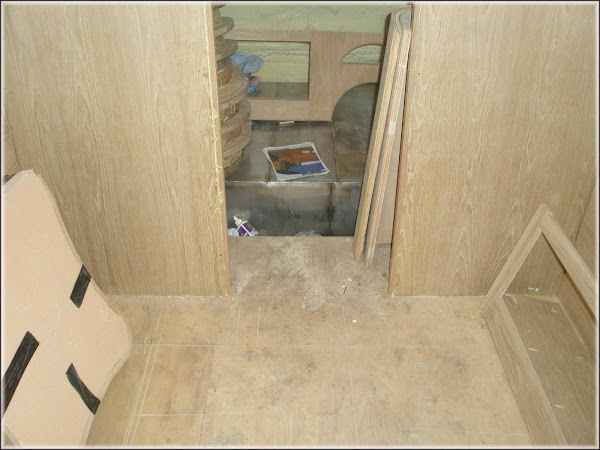 The black water tank has been located under the floor in the back cabin. You can see it is about 6” higher than the floor level through the rest of the boat which doesn’t really worry us. We were more concerned to ensure a large tank could be fitted to achieve maximum storage capacity with minimal loss of living space. More excitement when we received some photo’s from Kelly. 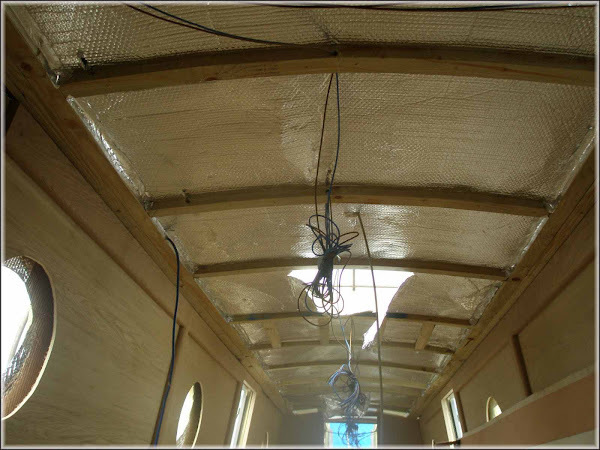 We were most interested to see how the installation of the extra insulation had progressed. 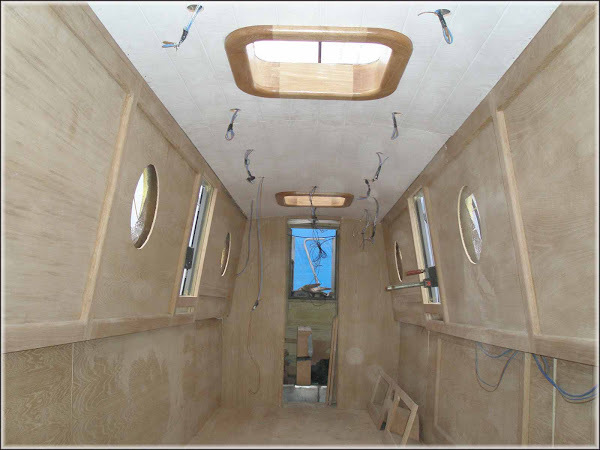 Ben has tightly fitted the bubble foil to the ceiling and you can also see where it has been installed in the walls by looking at the portholes. Here is another view. 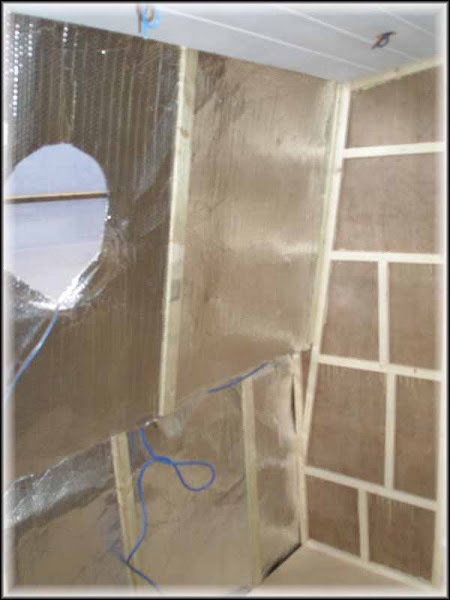 We now have two layers of insulation on the walls consisting of a spray foam outer and a bubble foil inner. This is a view of the ceiling lining. 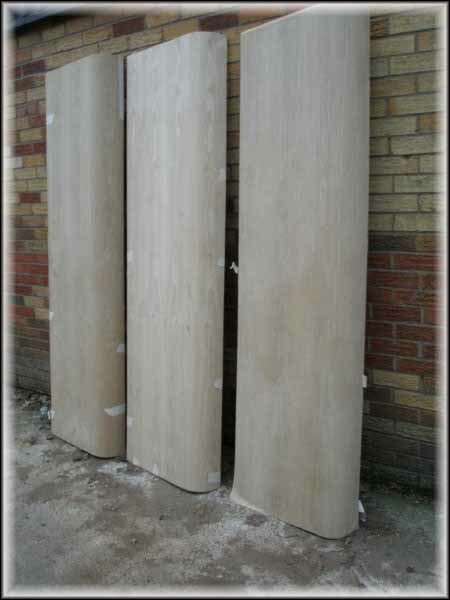 We decided on a water resistant formica clad board in an off white colour. Ben appears to have selected one with a plank effect. 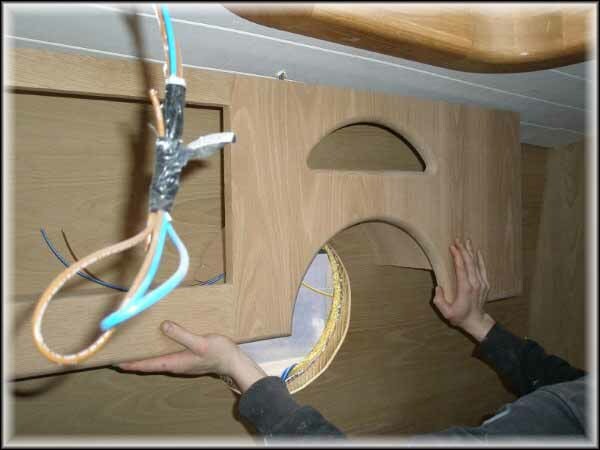 His joinery around the Houdini hatches looks very nice! Back in 1996 we had a holiday in Hong Kong. Whilst there I happened to enter a luggage shop and spotted a medium size semi-hard plastic suitcase. It was a revolting bright lime green colour and covered in grime. 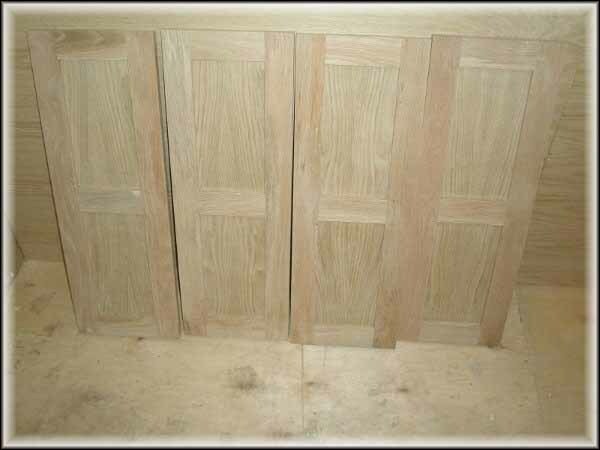 Obviously it wasn’t a popular colour and as a consequence it was proving difficult to sell. Just what I wanted! A durable suitcase that no thief in their right mind would want to walk off with. Moreover the colour made it stand out on the luggage carousel. After some not so serious haggling I was able to become its owner at a very reasonable price. 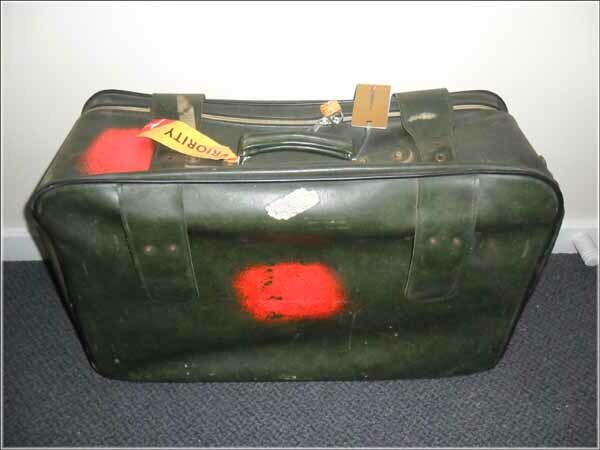 During the intervening years this revolting coloured suitcase has been around the world on a number of occasions; including five canal boat holidays. Whilst watching TV one evening, I became quite smug when I noticed the Australian Foreign Minister had the same model suitcase. Back on the 2nd of March I posted about the handheld luggage scales we were buying. Well they have arrived and yesterday I decided to do a ‘test weigh’ of our luggage to check how much of our weight allocation had been used. On impulse I decided to weigh the suitcase empty. What a shock! The damned thing weights 7.5kg empty or 33% of one person’s allocation of 23kg. 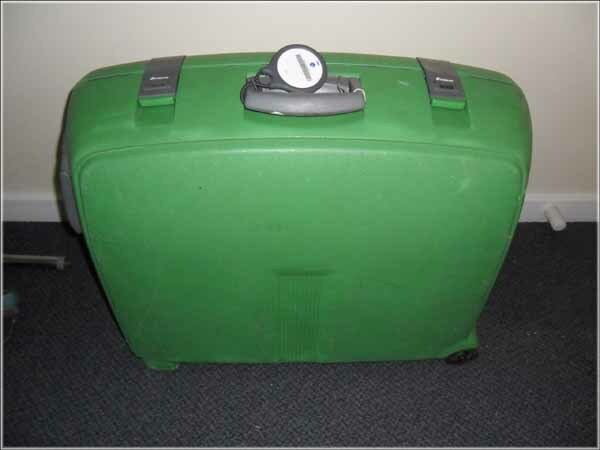 I then weighed the old vinyl suitcase we were given in 1980. It weighs just under 4kg which is somewhat better. Ah, I can hear you thinking “What’s with the orange dots?” It’s the earlier version of the strategy for ensuring no one decides to steal the suitcase and it’s also very easy to see on the carousel. As far as I’m concerned it’s a container to hold my possessions….. not a fashion statement! Either our revolting green suitcase goes to ‘Weight Watchers’ or its name appears on the non-essential list of possessions! OK, I’m not Moses and I haven’t bought one down from a walk to the top of Mount Lofty. However my thoughts have turned to Tablet pc’s after youngest son recently purchased one from China via the internet. Eldest son has an Apple iPad and when I first looked at it I couldn’t see much use for one. I’m starting to have second thoughts! Tablets have come some distance since the iPad was released and I can see one might be useful onboard Waiouru. I have a thing about Apple. Both sons appear to be devotees whereas I objected to being locked into the Apple Apps Store. Nor do I particularly like the marketing where Apple appears to ensure all retailers sell at the same price. Youngest sons new tablet is a gPad. Darned hard to tell the difference! The specifications look good and I’m informed the quality of the construction is pretty much on par with the iPad. If you want to look at the gPad the website is here. Curiosity got the better of me and after some additional searching I found the Flytouch 3 tablet. This one is US$209.99 making it cheaper than the gPad. It has a slightly bigger screen (10.1”) and faster processor (1GHZ –v- 800MHz). It also has inbuilt GPS, ethernet port, HDMI out, 2 x USB ports and to micro SD card sockets. However it is twice the thickness of the gPad and probably heavier. The gPad has slightly better screen resolution at 1024x768. The Flytouch is 1024x600. The remaining specification are the same. 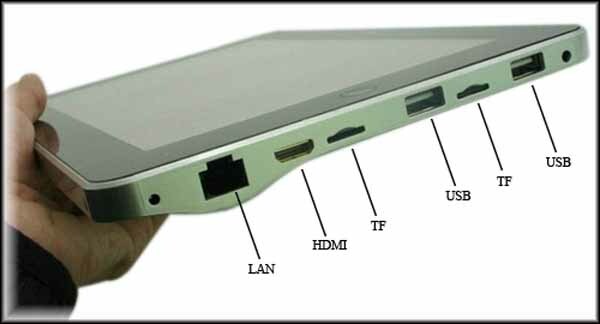 Wifi, webcam, battery life, RAM memory, G sensor, etc. There is also a nice looking leather compendium style case with built-in usb keyboard on the gPad website. Either tablet will fit into the case. So the questions are; what would we use the tablet for and which is the better choice. We already have the laptop but the tablet would be useful as an eBook reader, email and internet surfing, music and video. It is also smaller and handy to take a tablet from the boat when looking for a wifi hotspot. The Flytouch 3 has gps but wifi would be needed to view Google Maps, and we already have a gps, so that’s not essential. The increase in processor speed isn’t necessary and the gPad has the higher screen resolution. The Flytouch has more in/out sockets but we’re not likely to stream HDMI from a tablet to a TV. The gPad is thinner and lighter. 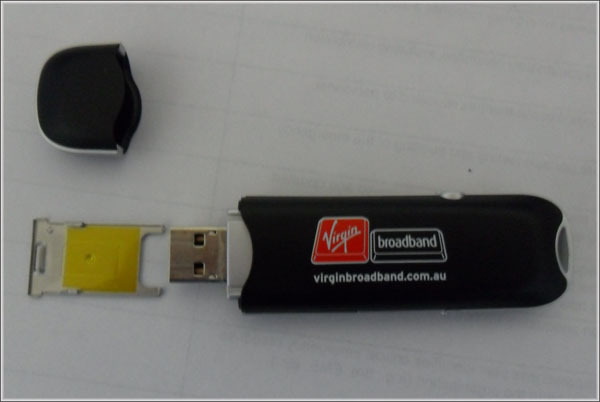 The Flytouch has an ethernet port so if the planned wireless network on Waiouru failed it could be connected to the network using the LAN port. Yes… I haven’t made up my mind. It was always our plan to make Waiouru an intelligent boat. The advanced Empirbus DC distribution system is flexible enough to allow us to reconfigure the consumable control system. This makes it possible to reconfigure any 12v DC switch to control any 12v power consumer. We also decided to include the optional GSM module. The module enables communication with the boat by TXT message. Effectively we can send a text message to the boat to activate or deactivate any configured consumers. For example; we could turn on the central heating prior to arriving. The module can also be configured to send us text message warnings. By adding the GPS option we can remotely monitor where the boat is located. 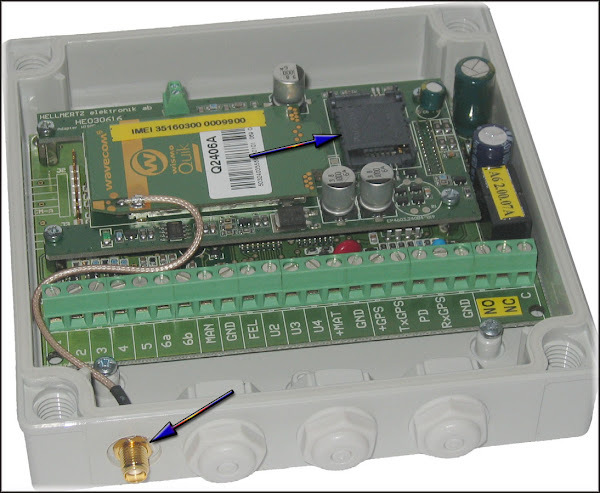 The module also links into the burglar alarm. So Waiouru can tell us if she in the process of being burgled and whether she has been moved. It wouldn’t be too difficult to fit an engine immobiliser to the system which we could also control by TXT message. 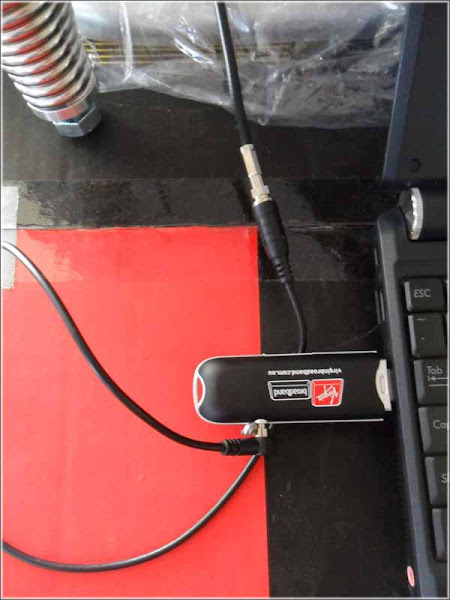 Another option we are considering is controlling the webcam from the module with the video being streamed to our mobile phone. A possible scenario is; a nefarious individual breaks into Waiouru and attempts to steal her. Waiouru will send us a TXT message warning us she is being burgled. We can TXT her to activate the webcam. Having decided the person onboard is up to no good we can contact the police and tell them where Waiouru is going using information from the GPS. When they arrive at the location we can immobilise the engine. The bottom left arrow is pointing at the antenna outlet. 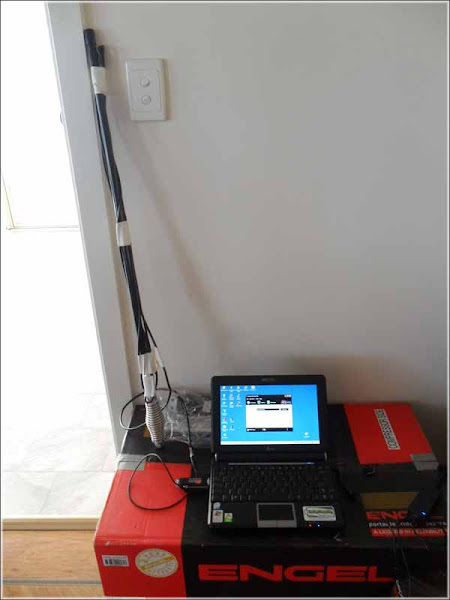 I wanted to know the specifications for the outlet in order that I could purchase an extension lead so I could connect the GSM Module to the mobile phone antenna on the roof. However Mark Zimmerman from Atlantis Marine informs me the module comes with an external antenna. 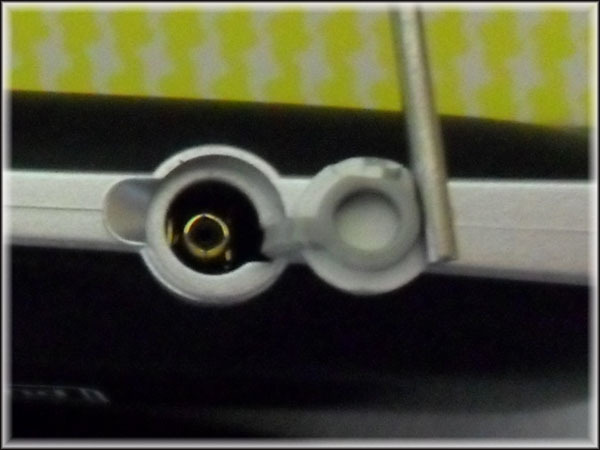 The arrow in the top-middle of the photo is pointing at the SIM card slot. As constant cruisers I don’t believe we will be making or receiving too many TXT messages between Waiouru and ourselves so need to identify a cheap, TXT only, SIM card service provider. 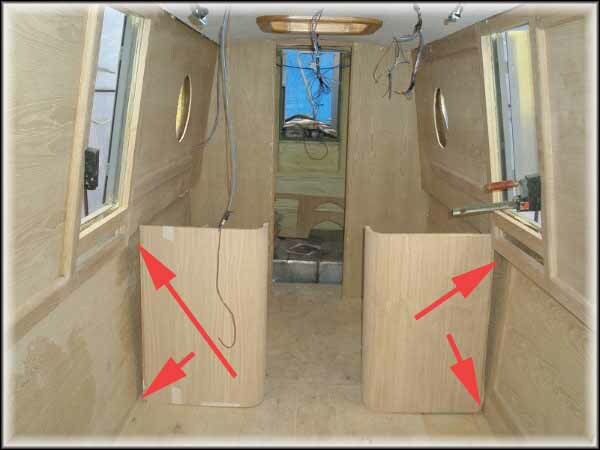 If you want to know more about the Empirbus system there is a link to Atlantis Marine on the top left of the blog. For a number of years Jan has been baking all loaves of bread. Her technique has been to make the dough simultaneously using two bread making machines, (to achieve the required quantity) but bake the dough in her own oven. The bread makers appear to have a much longer life if they are not used to bake the bread. 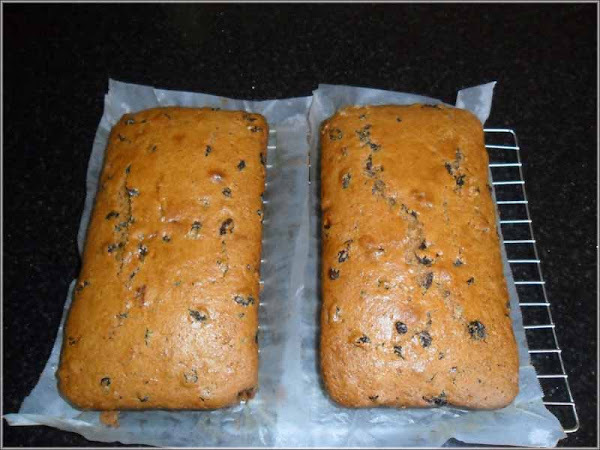 Two secondary consequences are; there is no hole in the bottom of the loaf from the paddle; and the loaf from the oven is larger. Jan has now taken the process further by eliminating the need for the bread makers. She has worked out a method of producing the dough and then being able to store it for a number of days only using portions when required. The idea is she will be able to produce all our bread when on Waiouru. Today the aroma of freshly baked bread wafted through the house and I subconsciously started to salivate. 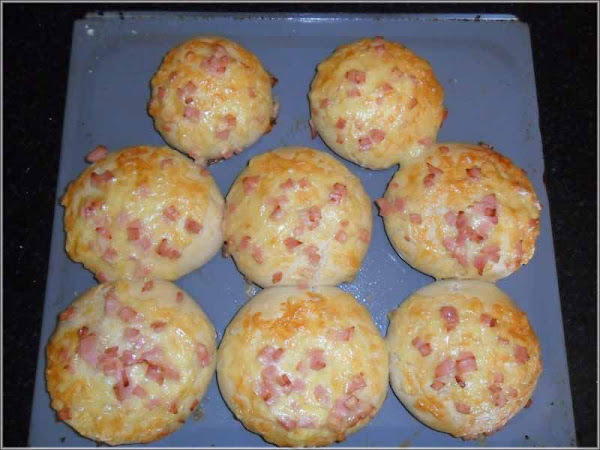 These cheese and bacon topped buns are still hot from the oven. They are delicious with a slice of butter. Thank goodness one of us can cook and we’re therefore not likely to starve on Waiouru. When I last visited my dear mum in Perth I found her knitting knee blankets for “the old people”. I guess when you have an OBE (over bloody eighty) ‘old people’ means everyone older than you! Anyway, I found the method she had for knitting the blankets very interesting. She had been shown how to do it by a good friend. 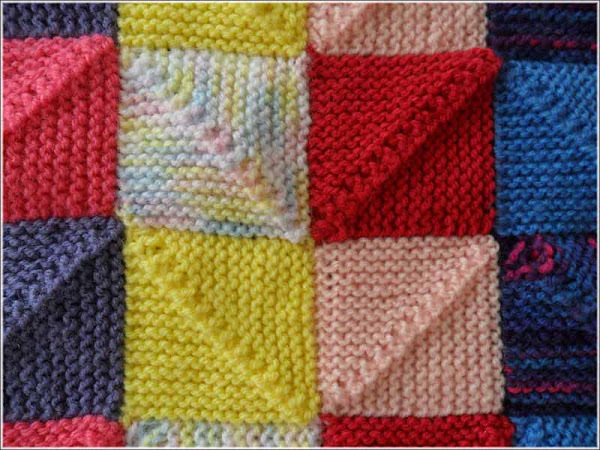 The blanket is made of knitted squares and the technique means the squares knit into each other. This eliminates the need to sew the squares together. On returning to Adelaide I described the blankets to Jan and she then wanted some instructions. Mum duly sent them over and Jan started teaching herself the technique. Then FMIL (favourite mother-in-law – another OBE!) arrived from Sydney for a visit and she also started to knit. Jan has now completed one 12x12 square knee blanket. This has got her thinking! 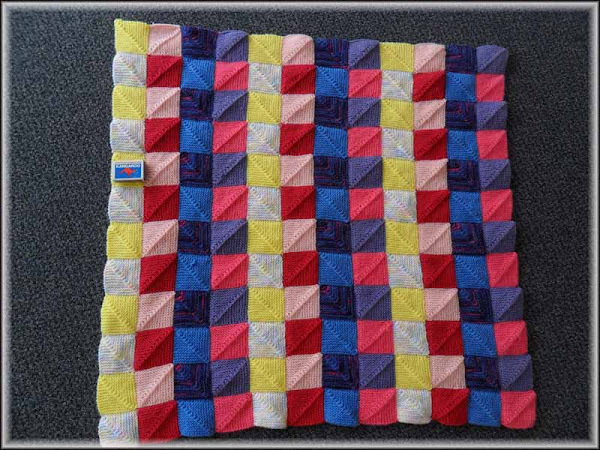 If she were to knit a 36x36 blanket it would look rather nice on our bed in Waiouru. I’ve placed a matchbox on it to give an idea of the size. I think Jan has been rather clever with the colour of the pattern. If you look at the squares in columns from left to right they colours alternate in each column and the chevrons in each square all run the same way in each column. The chevrons also run the opposite way to the adjacent column. And as I wrote earlier, the squares are knitted together during the process. We placed the blanket on our bed last night and confirmed the squares will need to be 36x36 to make a bed blanket. I received an email advising they will be renewing my gold Frequent Flyer status when it is due to expire at the end of March. Jan will be particularly pleased as she likes to get to the airport early and my gold status will enable use to use the Sydney Airport International Qantas Club lounge whilst we wait for our flight to board. Qantas have been very good to us during the 18 years I’ve been a member of their loyalty program. In 39 years of marriage we have lived in 18 homes. However, for the last 17 years it has been this house. So when the last of the removal representatives arrived today and asked if we had previously moved home we could assure him we had a little experience! One of the benefits in moving every 18 months was you didn’t get much opportunity to acquire “stuff”!. Today was a day when we ruthlessly disposed of some of the “stuff” we had previously identified as not being “essential” or had too much bulk to warrant paying for movement and storage. The St Vincent De Paul truck duly arrived and was filled. I think the two collectors were somewhat surprised by the amount of furniture we gave them. Their truck was full which resulted in an unplanned journey back to their depot before they could continue with their collecting. We are going the need to get used to living in a very small boat so might as well start the learning process now. St Vincent De Paul declined to accept Jan’s electrically operated recliner lounge chair. Probably not surprising as most charities will not take electrical goods due to the potential legal liability should there be a defect and injury. It is too good to take to the dump so we will look to find it a new home. The next task is to prepare our household inventory which will enable us to calculate the insurance premium for the move. We will then be able to reach a decision on which of the removalist quotations to accept. Until today we have been working on a checked luggage allowance of 23kg each from Sydney to Hong Kong. Leaving for five years and only have 46kg of accompanied luggage means you have to get rather ruthless with the list of possessions you intend to take. However, after looking at the Qantas website, I have identified that as a lifetime silver frequent flyer I get a checked luggage allowance of 32kg. This means our combined allocation is now 55kg. The additional 9kg might make the world of difference. We will still stick with our plan of buying additional clothing when we are in Hong Kong. Heathrow is the only airport I can recall passing through where there are free public scales located outside the departure area. I always use them to check the weight of our luggage. Elsewhere you appear to be in the hands of the airline check-in staff who are anxiously waiting to separate passengers from their money. Whilst we have a very generous luggage allowance from Hong Kong to Heathrow the same cannot be said for our flight from Sydney to Hong Kong. Departing overseas for five years with your worldly possessions in one hand is not impossible, but you naturally want to ensure you have used all your allowance. 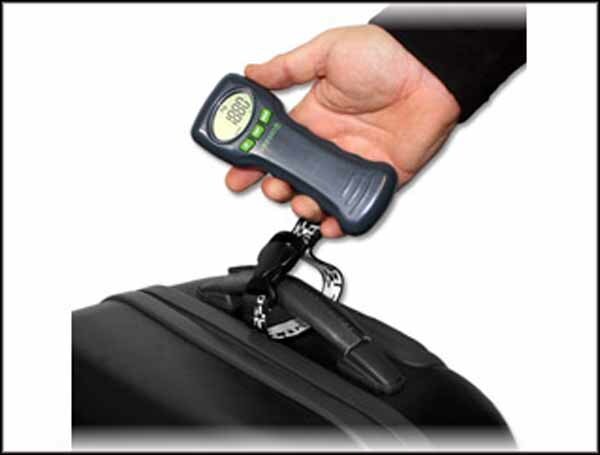 Avoid excess luggage charges with Balanzza Ergo Digital Luggage Scales. Weigh up to 44kg in increments of 50g. Easy 4 step operation. Attach, lift bag, wait for beep and put down to read displayed weight. Dimensions: 16cm (L)x 4-6.5cm(W) x 2.5cm (D). Product weight 215 grams. With some careful planning we will be able to juggle the content of our suitcases to ensure we achieve our maximum allowed weight allocation. Well the Getz is now advertised and the first potential buyer has been to have a look. This has been a great car. Reliable and economic to drive and own. The condition is very good and the kilometres extremely low for a late 2004 model car. Actually I can’t believe we have owned it so long. I’ve always believed regular servicing and clean oil extends the life of a vehicle so this one has been serviced by me in between it’s scheduled services. Based on our experience I would purchase another Hyundai at some future date. Someone is going to get a very good car.